Following an intense top 8 bracket for Tekken 7, Katsuhiro Harada and Michael Murray took the stage of EVO today to announce what’s in store for Tekken in the coming months. A trailer for Season 2 showed off new balancing for various characters, leading into a reveal for Anna Williams, the sister of Nina Williams. Following her gameplay, they revealed Lei Wulong would be joining the roster yet again. The trailer seemed to end showing off four more question marks – but answered one of those questions right off the bat (Pun intentional.). 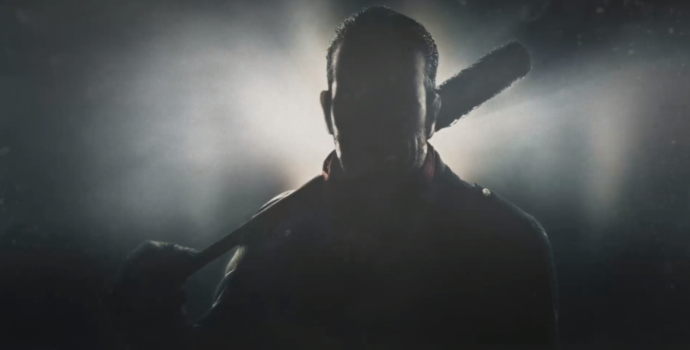 Negan, from AMC’s The Walking Dead, will be joining Akuma, Geese Howard, and Noctis, as a fourth crossover character, in a truly bizarre reveal. Look forward to season 2 of Tekken 7, coming soon.